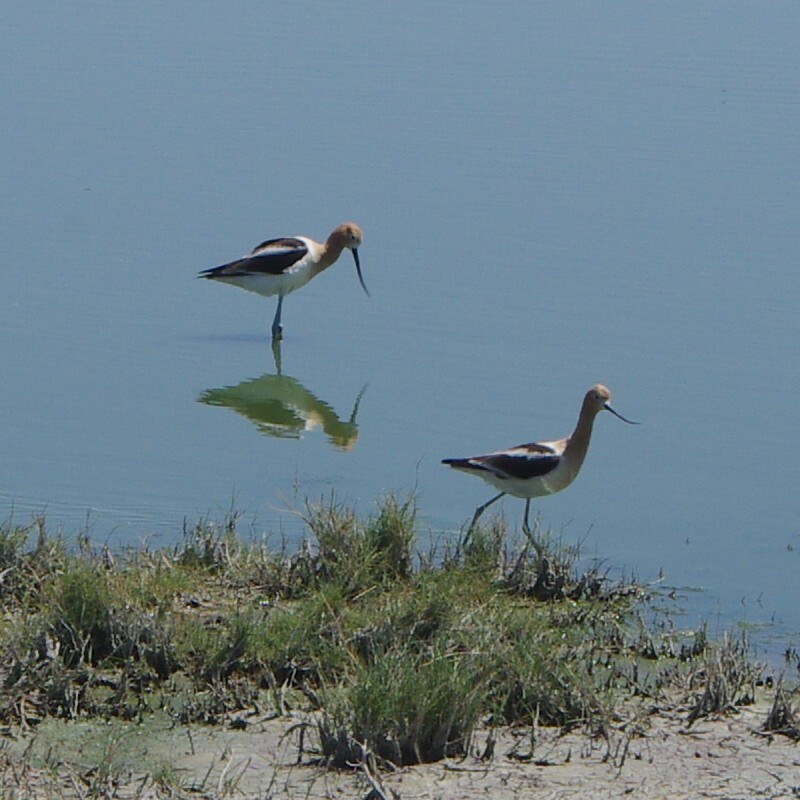 American Avocet walking in the Twin Lakes birding area. Birders have all heard of the “Big Year” and our B and B on the San Pedro River has had some birders from New Jersey who stayed atDown By The River while working on their Big Year. For those of you that don’t know what “The Big Year” is, rent the movie by the same name with Steve Martin, Jack Black and Owen Wilson. This shows you what real avid birders will do to find birds. The Tucson Audubon’s “Big Day” is a scaled down version of the Big Year. The Big Day, named the Sky Islands Birding Cup, begins at the start of the Tucson Bird and Wildlife Festival which is held from Aug 14 th through the 18th. The money raised from the Festival goes to the conservation efforts of the Tucson Audubon. On August 14 th, from 12 AM for a 24 hour period there is team competition to find the most birds within a prescribed geographic area. The record for the most birds seen during this particular event is 199. Last year the winners spotted 174. That total is almost a quarter of the over 700 species spotted during a Big Year. If you are doing a big year this area is one you would want to make sure you hit. One of the requirements is that the birders only are allowed in Pima County and any abutting counties with the exception of Yuma County. This rule allows Cochise County to become a part of the search area. Our B and B on the San Pedro River is located in Cochise County at the Northern End of The San Pedro National Riparian Area. That is just south of Saint David, Arizona and is perfect for finding resident birds and those that may be migrating through the area at that time. There are an estimated 200 plus birds that can be found during the days search and the lists from the last 2 years can be found at this link. 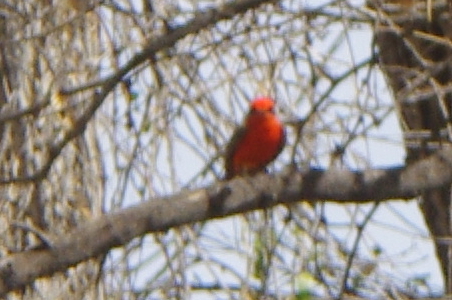 Vermillion Flycatchers are found in the San Pedro River area and on the property of Down By The River B and B in St.. David. Now there are rules that must be followed and there is a required sign up that needs to be done to compete in the Audubon’s Big Day. The link here will give you all the important information that you need for the competition. There is no requirement that states where you start your competition but there is one for turning in your list. It can be done at the official station or it can be emailed in to the Audubon official email address. There is an official clock and you need to be synchronized to the clock. There are 6 different categories of teams and I am sure there is one just for you. So if you are inclined to participate, then start scouting areas for those birds. The scouting prior to the event is allowed. And if you decide to take time scouting and don’t want to spend time driving from Tucson or other locations to get where you are going Then consider our B and B on the San Pedro River for your lodging. 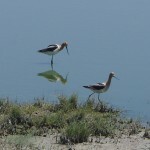 We did a blog about our central location to many birding areas throughout Cochise County. 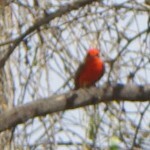 We have a list of over 50 birds that have been spotted on the property or in the adjacent San Pedro River. Good luck if you decide to try this fun filled event out. This entry was posted 6 years ago on Sunday, June 23rd, 2013. and is filed under Events and Things To Do, Nature. 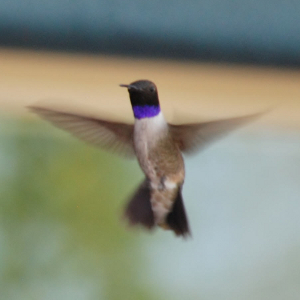 Black-chinned Hummingbird taken by our guest Egil from Norway.